Why do you need to segment your data in Analytics? 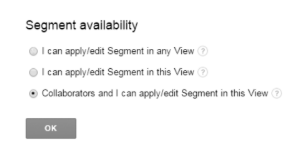 Segments in Google Analytics specify the way you're seeing the data in every standard view. It helps to narrow down the aggregated data into the data you want to see. Also, to draw a valid conclusion. 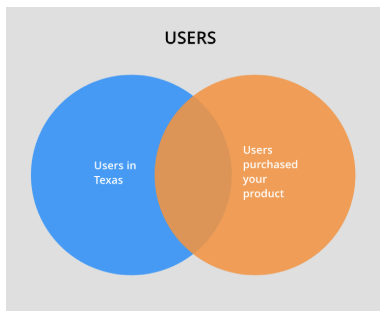 For example, of your entire set of users, one segment might be users from a particular country or city. Another segment might be users who visit a specific part of your site or who purchased your products. Segments let you isolate the data so that you can know whether the users in a particular geographic region are no longer purchasing your product in the same volume as they normally do. You can also create segments like users visited your website's pricing page or products offered page. 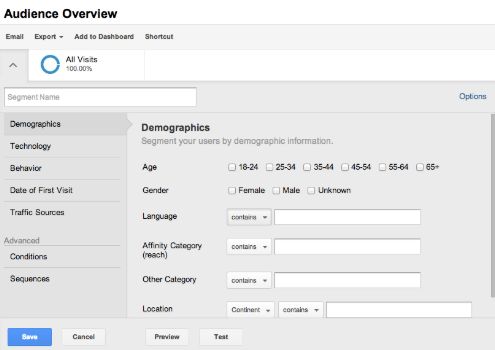 Now, we'll let you take a closer look at the location segments in Google Analytics. You can drill in even further, you can take segment of Texas. It will display cities within Texas. You can go deeper with Cities segment. These segments are the standard segments defined by Analytics. Let us say, we were interested in new vs returning user report, but, we wanted to see it as it relates to only those who are in the United States, or even more specifically Texas. To do that we need to create a Segment. This is called a "Custom Segment." You can do that by selecting "Add Segment" at the top of any report. To create a new segment, click on the "New Segment" button. Filter the data using the tabs in the left navigation. To edit the current availability option, click on "Change" above the summary. 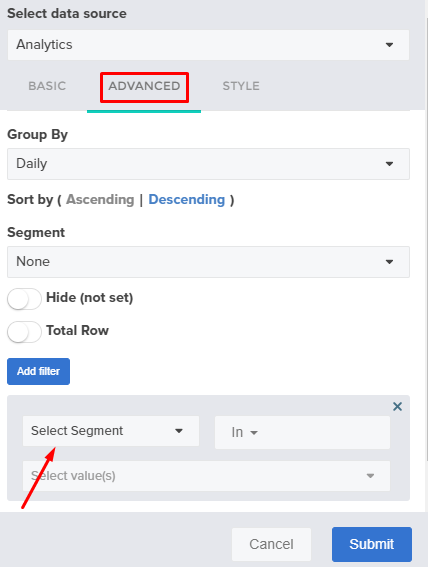 Set the "Segment Availability" to "Collaborators and I can apply/edit Segment in this View" to apply the segment to the report data. How Segmentation works in ReportGarden? After creating a segment in Analytics, choose "Select Segment" in the advanced tab of a Report widget editor.